The saddle pad or blanket provides a bit of extra cushioning between the saddle and the horse and helps the saddle stay clean. 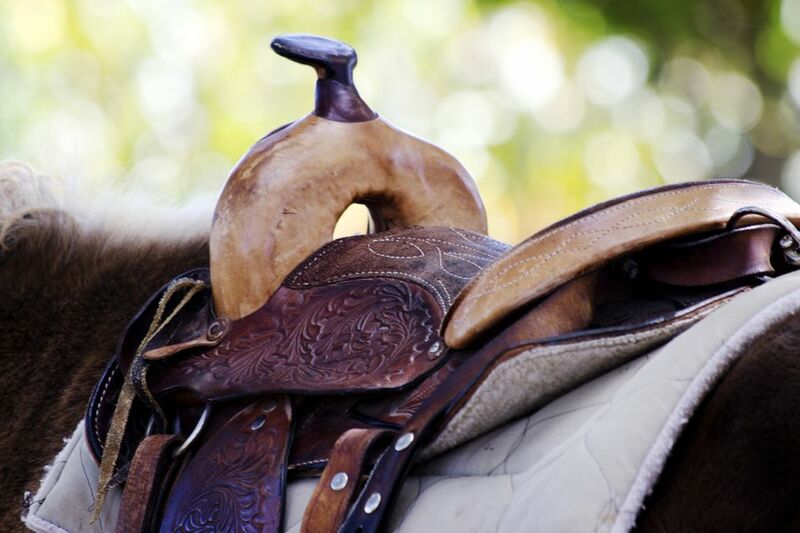 Without a pad or blanket, a saddle will sit directly on the horse, where it will absorb sweat and pick up dirt from the horse's back. Cleaning dirt or sweat out of a saddle pad or blanket will be much easier than cleaning the fleece on the underside of a western saddle. No pad is a substitute for a properly fitted saddle. If you and your horse are consistently having a sore back or galling issues, you probably need to try different saddles, rather than try to correct the problem with a different pad or blanket. Only very minor saddle fit issues can be compensated for with a pad. Western saddle pads and blankets come in a wide variety of fabrics, shapes, and colors. There are even pony sizes. Here's a look at what's available and how to choose the right one for you. The most basic western saddle blanket is a simple long piece of thickly woven fabric folded in half. These traditional saddle pads come in many colorful patterns and may have fringed or tasseled edges. You can have fun choosing one that compliments your horse's color. These blankets work well with many horses and saddles and may be all you need. They are easy to clean. Most can be tossed in the washing machine and dryer, or hung to dry. The downside to these blankets is that on some horses, they may slide out from under the saddle. They can also bunch, which can cause sores. Because they are made of a woven fabric, they may catch burrs and seed heads. If you are riding in western pleasure classes, you might want to avoid a blanket with long fringes as this extra motion while your horse moves can give the impression of choppy gaits. 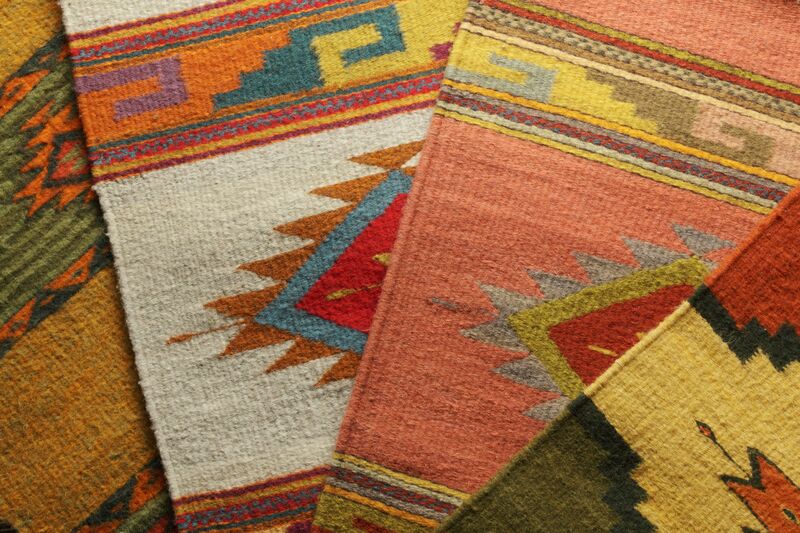 A slight variation on the traditional western blanket is a woven pad. These pads look like a woven blanket already folded. There may be padding between the top and bottom layers that absorbs shock and leather straps that help hold the pad in place. These pads may also be shaped, so they fit the contours of the horse's back better for less slippage and bunching. Some pads may have either natural or synthetic fleece on the underside. Leather edging helps prevent wear. If the center is made of foam, it may be quite hot on your horse's back, so you may want to look for one that features a breathable type of foam or wool. Pads, because of their thickness, may be hard to wash. Some care has to be taken to be sure that the padding in the center does not become hard over time. Natural fleece may not last as long as synthetic, and both are prone to compacting and developing hard spots. Closed-cell foam center may hold heat, while open-cell foam is cooler, but not as durable and shock absorbing. Felt pads are not quite as popular as they used to be. Pads of felted wool have been used for centuries under saddles and packs. Made of compressed wool, these pads absorb sweat well and dissipate heat. These pads come in square and shaped designs or contoured designs for a better fit. For a horse with high withers or a dropped back, a contoured pad may be the best choice. They may feature leather reinforcement at wear points. Neoprene pads are popular for their shock-absorbing quality. The weave of these pads is thought to keep the horse's back cooler, and they are very easy to clean, usually requiring only a quick rinsing with a hose. In addition to the neoprene, these pads can have a gel, wool, or foam center. They may be contoured and have a cut-away to prevent the pad binding against the horse's withers. Some will be rounded at the back to better fit a short backed horse like an Arabian or compact quarter horse. Some pads will be designed to compensate for slight saddle fit problems or to provide more wither or spine clearance. Extra padding may be built into the pad, or the design may include pockets for inserts. Because the neoprene is sticky, it is less likely to slip or bunch. These pads do tend to wear faster than other types. They may also hold the heat, which could make them uncomfortable for a horse in hot weather, or when working hard.